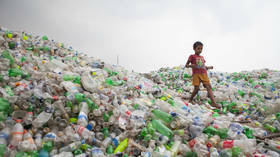 Every second, another 10 tons of plastic is produced. 10 percent of all plastic produced ends up in the oceans, leading to predictions that, by 2050, there will be more plastic than fish in the sea. Faced with this global scourge, more and more businesses are promising to recycle, including the Coca-Cola Company, a group that sells 4000 plastic bottles around the world every second. Can we depend on the promises made by these multinationals? And is recycling the solution? We investigated the company’s pledges and discovered that their promises are as sugar-filled as their products.